As I promised earlier this week, I’m sharing the delicious recipe for the Hot Cocoa Cookies I brought to my friend Bethany’s Cookie Exchange Party. Normally, if I was invited to a cookie exchange I’d make some pretty decorated cookies… but I knew Bethany had that covered. I looked for something new to try, and boy am I glad I did! 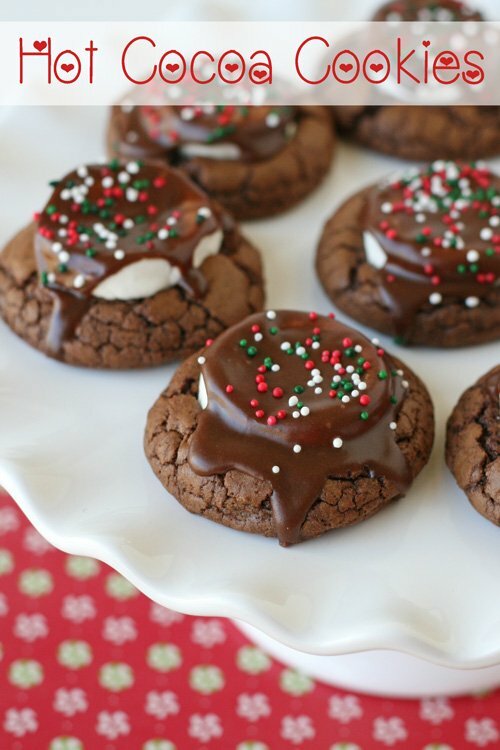 These Hot Cocoa Cookies are my new favorite cookie! They’re chewy, chocolaty and cute too! You could use different sprinkles for different holidays, or to match a color theme… easy peasy! 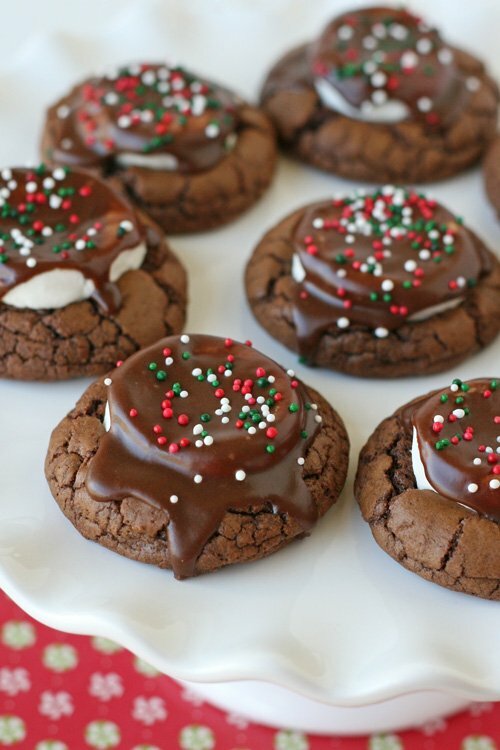 Rich, chocolaty and delicious, these are a perfect cookie for Christmas, or any time of year! Cookies can be stored in an airtight container up to 2 days. Change the sprinkles to coordinate with various holidays. These cookies turned out incredible, the frosting is some of the best I have ever made and the taste of the cookie is a perfect cocoa flavor. Definitely recommend as a holiday treat. Thanks Georgia! They are one of my favorites too and I love to hear that you enjoyed them! Hi Erika, No, you certainly should not have to toss the batch. I might use a strong metal spoon to dig into the dough a bit and see if it’s hard all the way through. It’s possible the top dried a bit? It’s hard to know for sure without being with you in the kitchen, but I have refrigerated the dough overnight and still be able to bake it the next day. Depending on how cool your house (and/or fridge) is, it may need to sit out a bit longer than 30 minutes. Best of luck! They are really delicious cookies once you can get them baked! I just won “Best Cookie” at my Christmas Cookie Exchange with this cookie! I have not baked cookies in years, but this looked fun and I wanted to give it a try. I’m so glad I did, these are amazing! Everyone raved about them all afternoon! Thank you!!! Merry Christmas! Hi Alley, They should still be fine. Let it sit out a bit longer if needed. Depending on how well it was covered, you may have a firm, dry layer on the very top of your bowl. Use a strong metal spoon to scoop down and bit and I bet you’ll find you have lots of perfectly usable dough. I’ve made this recipe a couple times and love it, but if I wanted to halve it, do you have any recommendations about the eggs? Should I just try to do 1.5 eggs or would it be better to use 1 or 2? Hi Natalie. I’ve never made this but I would love to. My guess is to use one whole egg and crack another in a separate bowl. Then mix one egg slightly as you don’t want to overbeat it when it gets mixed with the other ingredients, but only put half the mixture in with the other egg. Then you’ll have an egg and a half going in with the other ingredients. One egg sounds too little and two sounds too much so I think you are right in that you should do an egg and a half. These cookies are so good! This comes from a person who doesn’t really care for marshmallows. In the winter I decorate with blue and white snowflake sprinkles. For camping or summer outings I turn them into smores of sorts….skip the icing and press a few graham cracker crumbs into the hot marshmallow with a glove or bottom of a glass. Yummy! Hi! I’ll be making a few batches of cookies to freeze ready for Christmas , do you kow if these freeze well? They look yummy! I just made them and got 4 1/2 dozen. I’ve made the Hot Cocoa Cookies for the last three years. 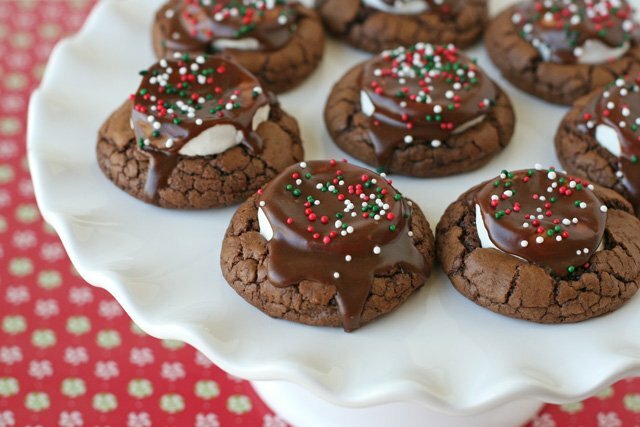 They are my new favorite Christmas Cookie, especially if you are a chocoholic like I am. Try them. You’ll have friends asking you for the recipe. I made 39 cookies from this recipe. These cookies turned out just like the picture, which was impressive being that it’s me who made them. They were very yummy, the cookies themselves were not very sweet but they went well with the marshmallows. I will be making these again! 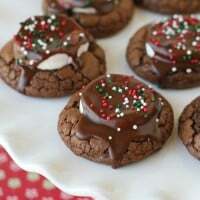 Hi i’m making these cookies today and I tried four cookies 1st to begin with and they were great my problem is is I read the small print below the recipe on these cookies they only last a couple days in a tight container is there anyway I could keep them till Christmas which is not quite two weeks from now looking forward to hear your answer and thank you so much for the recipe it is delicious. As with most any baked good, these are best enjoyed fresh, or within a few days of baking. My only suggestion is to share this first batch with neighbors and friends, and make another batch if you’d like to serve them on Christmas. I made these today and they’re awesome!!! So fudgy and sweet. My oven bakes faster, so I pulled them out at 8 minutes, put in marshmallows, then popped back in for 2 or 3 minutes. I froze a dozen for Christmas cookie platter. Definitely a keeper. I’ve never frozen them so I’m sorry to say I don’t have any experience to share. It worked for me. I used a cookie scoop (did not roll in a’ball’) to scoop on to wax paper on a cookie sheet. Freeze then I put them in a freezer bag, taking out to bake as I need them. They need to thaw some so you can flatten them. Without being with you in the kitchen, it’s always hard to guess what the issue may be. If you’ve had a batch turn out in the past, my best guess is that the batch that was more flat was a bit too warm when baked. Try chilling the dough a bit more, and/or chilling the balls of dough on the baking sheet before baking. Hmm, so sorry to hear! I’ve made this recipe so many times and haven’t run into that. Sorry I can’t help more from here. It might just be necessary to make another batch. Do ypu have to line the baking sheet with parchment paper? My icing never hardened. So they are super messy to eat but very good. My family loved them. So glad I found this recipe. Just to thank you for this cookie recipe. I made these for our cookie exchange this year and I was so pleased. The cookies turned out perfect–just like the picture–and tasted wonderful. I will be making these every Christmas from now on. Hope you have a healthy and happy 2017! I’ve made these for 2 years. Always perfect, delicious and very festive. Love this recipe. Have made these cookies for the past 2 yrs (from this exact recipe). I can’t express enough how incredibly delicious these are. 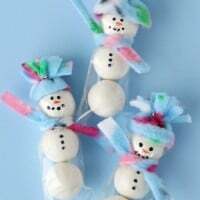 My family loves them and starts getting excited for the holidays just at the thought of these. There such a beautiful cookie that I packaged some up and mailed them to my bosses (I work remotely). They were a huge hit! If you’re even looking at this recipe because you think you might enjoy these, then definitely try this recipe. I followed each step without substituting anything and they come out perfect each time! Cam i frezee the dough??? And bake in 2 months? I generally prefer any baked goods to be fresh, so I have not experimented with freezing the dough. For this recipe, if I was going to freeze the dough, I think I’d roll it into balls, then flatten just slightly (as directed in the recipe) and freeze them in those shapes. Feel free to experiment. These cookies were even better than I thought they would be. The cookie has a great texture and flavor with or without the icing. Definitely making these again. Made these for a cookie exchange, they were a hit! Super cute and delicious! 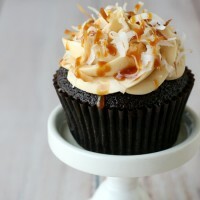 We felt the chocolate topping was a little too sweet, tasted kind of like frosting, but they were delicious. Will definitely be making these again! I have a cookie exchange event at my job and i want to make these but I have a question… Should I bake them in the morning before work so they’re a little more “fresh” or would they taste just as fine if I baked them the night before and put them in an air tight container? Thanks!! Baking them the night before will be just fine! Hope you and your co-workers love them as much as we do in our house! If I wanted to use fluff instead of an actual marshmallow (to make it vegetarian friendly), think I should bake the cookie the whole time (original bake plus marshmallow bake) and then top with a dab of fluff then ice? It should work I’d think, but didn’t know f you had tried it! I have not experimented with marshmallow fluff (with this recipe), so I’m not sure what to suggest. I might still try to bake the marshmallow fluff a couple minutes… but again I’ve never tried it that way. The nice thing is that this recipe makes quite a few cookies, so if you try it one way for one baking sheet worth and it doesn’t work out, you still have lots of cookies to do it a different way. Happy experimenting! Yay! Thanks so much for the sweet comment! So glad you love them as much as we do in our house! All of your comments have sold me on this recipe. The recipe seems a bit laborious, but the rave reviews have convinced me to make them for the cookie swap next week. Six dozen hot cocoa cakes cookies in my future. Yay! They truly are a family (and reader) favorite! I hope you love them as much as we do! I have made these cookies and the family loves them. BUT I made a note to myself last year that I had to refrigerate them much longer than the 1 hour in order to make the dough firm enough to handle. Should the dough be this “loose” prior to refrigeration? Not sure whether to add some more flour or semi-freeze the dough so it isn’t so sticky? Anyone else with this issue? So glad you’ve enjoyed the recipe! Yes, the batter should be more like brownie batter than cookie dough before it is chilled. The chilling time will vary simply based on how much you let the chocolate mixture cool before adding it to the batter, your fridge, etc. I generally find that after an hour of chilling I can get at least one baking sheet worth of cookies from the top layer of dough that has chilled, then I keep it in the fridge while baking the first sheet and can continue to work off of it in that way (chilling between scooping out batches). Feel free to chill as long as needed so the dough keeps its shape in a nice ball before baking. Thank you for the insights…and tips! when you say cocoa powder… do you mean baking cocoa? or actual hot cocoa mix powder? Wow, just wow!! Super easy for someone who doesn’t bake a lot. I can’t believe how amazing these are !!! Thanks for sharing!! I’ve made these cookies twice in the past few weeks! Once for a party and then again for christmas. 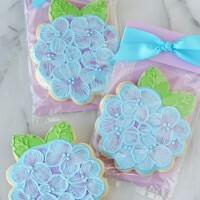 These cookies are absolutely fabulous and they are so easy to make! They are so moist and incredibly flavorful! I used crushed peppermint to sprinkle on top of the icing and I’m in love! These are favorites around here…my daughter ALWAYS requests them! And I’m usually willing to accommodate But with it being the first day of summer break, I wanted to add a little summer twist. So instead of adding Christmas sprinkles, we added crushed graham crackers on top. Still so cute, but a little more summer-ish! Do you know if these will freeze ok once cooked I want to send them in the mail. I have not experimented with shipping them. I’m afraid the icing would make a bit of a mess as the cookies thaw. You may want to try my Perfect Chocolate Chip Cookies, Ginger Molasses Cookies, or Perfect Sugar Cookies. Each of these would freeze and ship nicely. My cookie exchange party is at a pretty small house and we all have to sort of stack our cookies to make room for all of them. My question is about the frosting. Does it dry hard so I can lean them against each other or is it like soft frosting? Important to know. thanks so much. They look great! Once the icing sets a bit (15 minutes or so) you can gently stack them, at least 2-3 layers high… more than that they’d likely get a bit squished. You can also add a small piece of parchment paper between the layers to help keep the cookies separate. Hi, how long does it take to make a batch of these cookies? A lot of that depends on how you like to work… but if I was making these from start to finish I’d estimate 2-3 hours. Not all of that is active time, since the dough needs to chill 30 minutes to 1 hour before baking. So preparing the dough is about 15-20 minutes, then chilling time (up to 1 hour), then baking time (likely 1 hour for all), and then 15 minutes to add the icing. These cookies are a hit anytime I make them. However, the chocolate frosting starts to turn splotchy white the next day after they’re made. Any idea why? Hi Misty, Yes, I’ve experienced the same issue. I’m sorry to say I don’t have a solution other than to wait to frost the cookies until the day they’ll be served. i want to make these to give away as christmas gifts. how many days/weeks would they last if left out in a container vs. freezing them? what about if i made the cookies without the icing? I have not experimenting with freezing these cookies. I’m not sure how the marshmallow portion would react. The cookies will remain fresh tasting for several days, although after a day or two the icing may discolor a bit. One option is to bake the cookies with the marshmallows (as directed), but then add the icing the day you’ll be serving them. The cookies taste amazing but the frosting didn’t work out…I followed the directions but it was lumpy and never hardened up, very watery. Hi Joan, So glad you loved the cookie portion. If the icing was lumpy it was likely that your powdered sugar was a bit lumpy to begin with. Next time, try adding just a bit of water at a time, while stirring to make sure any little lumps are blended. The frosting should thicken as it cools, but it will never be fully hard. Again, it sounds like maybe just a bit less water would help with that, and letting the icing cool a bit more before adding to the cookies. Happy baking! This is probably a really dumb question but here goes. Do you use semi sweet chocolate morsels or semi sweet chocolate baking bars? 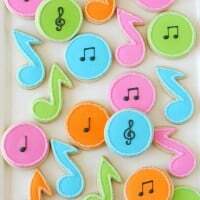 These cookies look so cute and delicious! Just want to make sure I use the right one! These came out beautifully and my family really really enjoyed them. They’re now my new favorite Holiday cookie. Thanks you for sharing!